Time to catch up, tie up some loose ends, discuss a new thing, and just muse a bit. And I have a couple of questions for you! 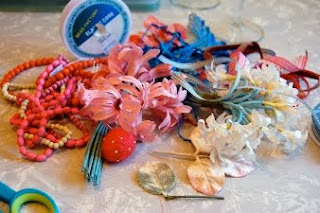 I almost always post on Mondays, and I love to link up with Michelle DeRusha at Graceful, but not this week. We watched our son graduate from college this weekend, and I didn’t hit the front door until late Sunday night. (It was an awesome and will probably be the main topic of my Friday’s Fave Five this week!) I’m usually a bit more organized about the week by now, but that’s not happening this week. I’m really looking forward to summer. With eight more days in the classroom, I feel like I’m on a treadmill! Being out of the classroom isn’t easy – you have to prepare for a sub and then recover from a sub. I always feel compelled to leave meaningful work, so that means I have to grade it! And exams are quickly approaching. The key right now is keeping those teenagers busy while they’re in the classroom, so I’m churning stuff out, trying to keep them occupied in a meaningful fashion. You know what? I can’t wait till summer! A loose end – my Mother’s Day Giveaway. The winner is Diane Estrella with her post about Marissa. Congrats, Diane – email me and send me your address so I can get the goods in the mail. A new thing? 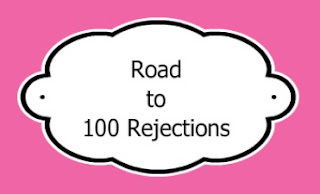 It’s my Road to 100 Rejections. You can read all about it at our Kindred Heart Writers site. Are you a writer? Are you submitting your work – or thinking about it? Why not join us on the road? (If you’re getting rejections, that means you’re submitting, writing, working, refining…and if you can pile up 100, you’re sure to get something accepted!) Come on along with us. Did I mention that I’m anxious for summer to come? And the musing. Some of you know I have a newsletter. (You can subscribe right over there to your left, in the sidebar.) For over a year, I’ve sent it every Monday morning, hoping to encourage moms. You can read a sample of my newsletter here. I’ve fallen off the wagon in the last month or so, with all the busyness of school, and I haven't been sending my newsletter. Yet, I only heard from one reader. So I’m trying to figure out how to approach the newsletter. If you’re a subscriber, would you email me or leave me a comment and tell me if you’ve missed it…if it came too often…if it was too devotional for your liking or too practical…what you really liked or didn’t like? Do you have too many things coming to your inbox these days to notice? (I know how that is.) Do you have any ideas? What would you like to read – what would help you? And if you’d like to subscribe, you can either go ahead and do that right now or leave me a comment. I’ll email you and let you know when I start it up again if you want to wait and subscribe then. You know what I can’t wait for? Summer! And last, thanks – for reading, commenting, writing such great posts yourself. I love hearing what you have to say, blog friends. I'm looking forward to hearing more about your son's graduation! I tend to fall into the "too many things in my inbox" category, but I love reading your blog in my RSS feed. well hey!! i DID notice I wasn't getting your newsletter in my inbox any longer but i figured you're too busy with end of school stuff....but I LOVE it and since I visit here almost every day or every time I'm on my own blog, I still get to see what you're up to! I love your posts!! Congrats to your son and I'm jealous you only have 8 more days. I have 6 more weeks. My oldest has 21 more days of classes, then exams. Altho she IS done with the AP Calc exam. WHEW! How funny ~ I have missed your newsletter, but have been so crazy busy that I have neglected even opening half my emails... i figure some stuff can just wait until my teaching year is over, right? I'm with you, Laura!! REady for summer! You sound super busy, Laura -- and oh what a milestone, your son's graduation! A graduation?!?! What fun! Congratulations!